I'm sure most worldbuilders will have heard the aphorism that in space "Everyone sees Everything", or that "There Ain't No Stealth In Space". I'd like to propose a possible solution to this. The stealth ship would be a drone, probably used as a missile bus, and used for short to medium term missions (weeks to months). Firstly, it would be shaped like a double cone with an inclination of 0.5 degrees, the angular size of the sun at 1AU, and would be continuously pointed towards the sun to minimize solar heating. 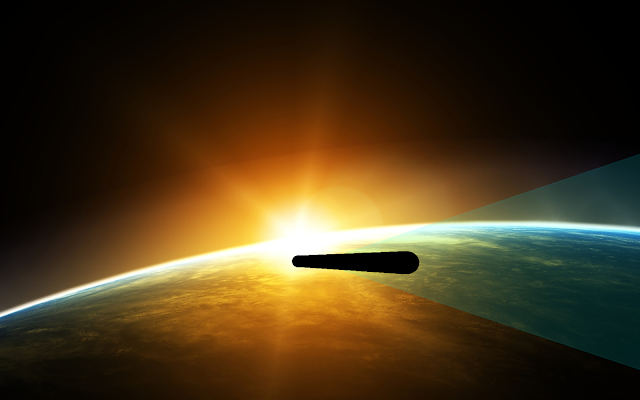 Secondly, the hull would be coated in VantaBlack to minimize the probability of detection via radar systems or reflection of sunlight. Thirdly, to avoid the emission of infrared radiation, the hull of the ship would double as a storage container for liquid hydrogen, which evaporates at a temperature of 20.28 K. This would ensure that the exterior temperature of the ship is kept at this temperature or lower until the hydrogen has completely melted. The evaporating hydrogen would be used as fuel for cold gas thrusters, which would be positioned around the center of mass to avoid turning the ship and exposing more of its hull to sunlight. This would give the ship maneuvering capability. The ship would be deployed in a very high earth orbit, in roughly the same orbit as the moon but opposite to it to mitigate risks of discovery by moon-based craft. The sensors attempting to detect the craft are in LEO or MEO, so detection distance is about 360,000 km (roughly lunar perigee). The ship's dimensions, chosen completely arbitrary, will be a 10m central diameter, which, if my math is correct, gives me a length of 1146m or so, and a volume of around 30,000 m^3. This question asks for hard science. All answers to this question should be backed up by equations, empirical evidence, scientific papers, other citations, etc. Answers that do not satisfy this requirement might be removed. See the tag description for more information. No, it is probably terrible stealth. A simple google search yields good results, such as this site with a picture of the reflectance. We're talking about 2% reflectance, and increasing, for radio waves of wavelength of 25 microns and greater. A stupid crude simple radar could detect that (if close enough). If we are talking about big distances, possibly a powerful enough radar could do the trick. To deal with the comments: What if the ship is far away? For $R=2\%$ we have $r/x \approx 37.6\%$. Thus, the maximum detection distance would now be $37\%$ the initial one. So, if we acquire a radar that can detect 958,000 Km maximum, it can also detect such vantablack coated ship at 360,000 Km. If we already have a radar that can detect 360,000 Km maximum, to adapt and detect the vantablack coated ship, it would be just a matter of tripling the power (sometimes not hard to do), or tripling the sensitivity (perhaps by increasing the antenna dish by a bit less than two times the initial size). If you want stealth, hide behind a comet. It will be seen if someone is looking, but won't raise any warning bells - there are a lot of space rocks out there. If you could engineer the approach to be close, but far enough off that no preventive responses occur, all the better. Better yet, a comet will release a gas trail, this will mask any cold-propulsive residue, and naturally act as interference for any radar or other electro-magnetic detection system. At worst such systems will recognise the ship, but will likely be dismissed as a false positive due to inconsistent observations at that and other frequencies. Asteroids are known to approach the Earth/Moon system, aim your asteroid to pass behind the moon some distance away from the Earth so as to not draw Preventative responses. There is no longer any need for subterfuge. At these distances any detection facility will identify your spacecraft as at least anomalous when detected. Due to how close it is, there is a reasonable chance that such news will be passed around various observatories quickly. Soon after confirmation, it will likely be brought to the attention of those who can respond. While deception is useless now, that is no reason to announce your presence. Leave the cover of the asteroid while it is occluded by the moon. At these speeds the space ship does not need any fancy high-grade explosive. Though if you want that go ahead. Simply fill it with one or more tungsten metal cylinder and make a Kinetic Missile. Mach 25 is about 8.5km/s so this spaceship will need to slow down enough that it simply does not explode in the atmosphere. As the ship itself can be a delivery mechanism, one method would be to fire smaller propelled rockets in the counter trajectory. The delta-v budget to counter 6000km/s is roughly the budget needed to launch a rocket from earth to the moon. (Irony abounds). The tech to build such a rocket has existed since the early 1970's with a Saturn V. Obviously the rocket will need to be resized as not all the energy needs to bleed off, and the payload is about twice as massive as the lunar module+lander at ~16000kg vs a kinetic missile at ~33110kg (given a 6.1m Height 0.3m radius cylinder ~1.72m^3 of tungsten). 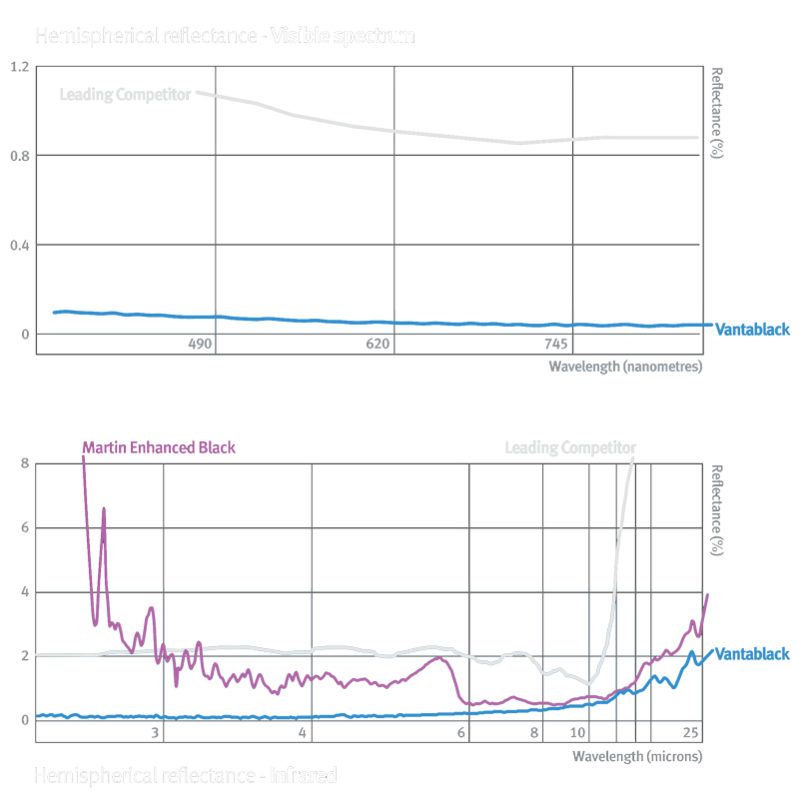 With a slower lunar-earth approach the rocket can be significantly less powerful. Although this does jeopardise the success of such a vehicle attacking. The kinetic missile literature indicates that a strike from orbit could occur anywhere on the surface within about 12-15minutes. As the spaceship is already moving at speed and presuming that suitable course corrections had already occurred, the optimal firing area will be close and aligned. Additionally as the ship is already moving at speed, there is no time required for acceleration (other than the burn to slow for atmospheric entry), this would drop the target time down to atmospheric entry time at top-speed + time to travel from moon. The fastest known meteriod traveled at about 72km/s through the atmosphere exploding a little too soon at 100km above the ground. Most asteroids average ~20km/s in atmosphere. The Atmosphere at its thickest is somewhere between 7km and 20km high, although the top of the atmosphere stands as high as 100km. Presuming the later, a tungsten rod could travel that distance in 5 seconds, but the atmosphere really is in the way. It would take about 2-4 minutes with deceleration due atmospheric compression to reach the surface. Thus we have a window of 5minutes to 2hours for an attack once the ship becomes detectable after leaving the occluding lunar shadow. It takes time to identify, verify, inform, and respond. Some military installations with dedicated missile defense systems, if active, and linked to a hot-trigger for orbital strikes, might, be able to identify, and respond to this weapon successfully if undetected till atmospheric-entry. But due to the amount of energy in the system (20km/s is no joke), the chances are that the best that could happen is an aerial detonation, which will produce concussive shock waves that will damage and potentially demolish buildings depending on how high the detonation occurred in the atmosphere, and the relative distance to those structures. If the Earth had orbital defense systems, it might be possible to apply the force of MegaWatt/GigaWatt lasers/masers to overheat your spaceship on its approach to Earth. It would need to overwhelm the Cyrogenic hydrogen cooling system installed in your ship. But again as stealth is no longer a requirement, this could be more formidable if the surface of the ship had been replaced by a highly reflective material. Thus most of the heat energy generated by the lasers/masers would be reflected, reducing the effectiveness of such a system. Obviously speed is critical here, an approach taking handful of minutes will have to deal with less heat than an approach taking two hours. An ICBM usually carries large explosives and is a rocket capable of sub-orbital flight. That is it can be launched from the surface and travel to space, but does not gain sufficient speed to enter orbit, and will (usually on purpose) crash back to earth. It takes 3-5 minutes for such a craft to boost to max. velocity, and stays up to 25minutes in space. If a similar rocket were constructed with the intention of intercepting solar missiles (such as the space ship) it would need somewhere between 10 and 25 minutes to launch and position itself for intercept. If suitably targeted such an anti-solar missile could deflect and or sufficiently damage the space-ship so as to nullify its capacity for damage. Such a missile will however be vulnerable at its zenith (low velocity or capacity for maneuvering) its effective zone of control would be some 10-15 minutes prior to intercept. This leaves several counter-counter measures available. use a counter missile specifically to hit the anti-solar missile. alter course with a significant burn (you would need to do so anyway to reduce speed) after the missile had reached a critical point in the trajectory. confuse the anti-solar missiles guidance systems with something approximating chafe, or other disruptive mechanism. Arguably the slowest aspect of any counter-measure are the humans. At best 1minute from identification to response, presuming an alert, active, and responsible group. The less coherent the group, such as relying on civilian/researchers, cross-site verification, bureaucratic involvement will slow such response times down. 15 minutes might be super fast in the worst of these scenarios. Conversely a fully automated system would be able to respond within seconds (the moon is about 1.3 light-seconds away). This of course presupposes that the counter-measure systems automatic or biological are looking for and have perceived a possible issue. Use subterfuge to close distance. Once at distances where detection is definitive reduce transit time. Forgo cloaking on attack run - ditch the cloaking layer in favour of a highly-reflective armour. If hoping for the best, ditch the cloaking on the attack run only after observing counter measures. Ensure sufficient coolant is available to prevent over-heating on the attack run. Attempt to keep lunar-earth approach time low. reducing the likely-hood of response. minimising the time available to laser/maser defenses. Use the deceleration process to avoid anti-solar missiles. Do not target a defensive location with counter-measures without employing a multiple missile strategy to saturate and overwhelm those counter measures. In short, cloaking would actually be a handicap. Yes black paint, an advanced cooling system using hydrogen and rearward radiation would minimise detection chances particular at the periphery, but will fail quickly under scrutiny. The best bet is subterfuge, then a fast attack run. Im going to have to make some assumptions here, based on my experience with weapons. First, since you are using Vanta black, I assume most all (98%) of the solar energy would be absorbed but the hull material. $sin(0.5) = 2m/H => h= 2m/sin(0.5)$ which is to the end of the launcher, + a minimum 10 m and the other slope of the ship. Now the surface area. We only need to consider the cross-sectional area facing the sun assuming the cone is strictly orientated-toward the sun, the surface area increases if its not. Fortunately that cross-section is the area of a circle. The total energy absorbed at 1 AU (around earth) is ~3600 $kJ/m^2$. A mol of Hydrogen atoms is about 2.01588 grams. So rough estimates, using the information I have found is you would need 272kg of hydrogen to keep the hull cooled. Could not find a good description, but I think that is per hour. That's a lot of hydrogen you would then have to figure out what to do with. Your exhausting of relatively warm hydrogen in those quantities would be detectable. Sorry about not including pretty graphs and pictures. Hope someone with better info can edit my answer to better suit your needs. Outside of the good answers already provided, any stealth spacecraft will be revealed through occultation. In orbit, it will pass in front of stars, planets and potentially the moon (depending on the parameters of its orbit). You might arrange an orbital path so it will not or minimally pass in front of objects in space, but this will only be true of a particular viewpoint or position on Earth. Someone looking from a different position will potential see the spacecraft pass in front of the moon or other celestial object. Indeed, with enough observation, it will become not only possible to see the object, but also work out the orbital trajectory. This becomes even more important when you consider there are a lot of satellites in high orbit looking down on the Earth. A cold object passing into the field of view will be very conspicuous agains the bright background of the Earth from that POV. This illustration of a fictional Stealth spacecraft from Tough SF will illustrate the point perfectly. This also does not take ordinary wear and tear into account. A spaceship orbiting the Earth is going to be "sandblasted" by micrometer particles, energetic radiation from the sun and high energy particles from the Solar Wind. This isn't going to destroy the spacecraft, of course, but the outer surface will be under constant attack, and a fine surface like Vantablack will suffer degradation almost immediately. Over a prolonged period of time, it is entirely possible that the coating will erode or be damaged and gradually become less able to absorb or reflect incoming radiation (solar light, radar waves, infrared etc.) If the spacecraft intersects the orbit of a discarded bolt or other small piece that has been shed from a spacecraft over the decades of the Space Age, then the surface will suffer an impact crater due to a high velocity impact, and potentially the "dewar flask" holding the liquid hydrogen will also be breached, dumping the coolant and revealing he spacecraft. So while it may be possible to provide passive stealth for a spacecraft for a short period of time, this is not going to be a long term solution. The other issue which will have to be kept in mind is getting into a particular orbit is going to take energy (from the rocket launch and manoeuvring thrusters), which is highly visible and easily tracked. An observer who watched the launch has the potential to understand the orbital parameters just from observing that, and will have an understanding of where to start searching, especially if the launch vehicle gets to orbit, and then nothing shows up on radar or visual scanning. The observer will be very interested in knowing what just happened, and will look very hard for the spacecraft, especially if they have orbiting vehicles of their own. Colliding with an uncharted or unregistered space vehicle could have catastrophic effects, especially if a critical military satellite happens to be the one destroyed. MIT has worked-out a solution for that, and it's still in the theoretical phase. The idea is that the ship's shell is coated with layers of gradually-increasing negative refractive index. Light hitting the spaceship is refracted and diverted away from the actual shell's surface. It would "go around" the ship and leave from the other side. the shape of the ship. The incident (hitting) angle affects the refraction angle. The ideal shape is the sphere. it is possibly made of metamaterial (composite materials) and micrometeorites may compromise structural integrity and therefore stealth quality. different wavelengths may refract differently and material will act like a prism (this one is my own speculation, and the engineers may have worked it out). There is partial success here and here. P.S. it is important to note that unlike earthbound travel (land, sea or air) eye contact is far less important. Speeds and distances are too high for human reflexes. Most detections are usually by radar, detecting radio signals and and infra-red emissions. By the time you see a spaceship, it will be hitting you and shatter your ship with a big show of firework. Assuming a 10 meter central diameter and pointed at the sun, the cross section can be simplified as a 10 meter diameter circle, with an area of 78.5 m^2. That's what's going to absorb solar radiation. Solar radiance at 1 AU is about 1361 W/m^2. Given vantablack at 99.96% absorption, that's 106,799 Watts going into your vehicle, ignoring reflected light from the Earth and the Moon. Since a watt is 1 Joule/s, that's 106,799 joules per second of energy being absorbed. To simplify things again, we'll just use the heat capacity of hydrogen, ignoring enthalpy of fusion and vaporization. Liquid Hydrogen has a heat capacity of 9.41 J/g⋅K at 20 Kelvin. Given the amount of energy being absorbed (106,799 J/s), the vehicle is absorbing enough energy to raise the temperature of 11.349 kilograms of hydrogen 1 degree per second. In an hour, 40,836 kg. In a day, 98 tonnes. Liquid hydrogen at 20 K has a density of 70.8 kg/m^3. So, in a day, that 98 tonnes that's gone up 1 degree and become hydrogen gas (and has to be vented, as per your premise) has a volume of about 13,849 cubic meters. Short answer: your system isn't going to work for very long at all. I will note, however, that you cheated a bit in your premise. You limited sensor positions, which isn't a reasonable premise: if someone is advanced enough and has a sufficient space presence so that you need to hide, why are you limiting where they have sensors? It sounds reasonable. You could pick it out by seeing it occlude stars behind it or the sun if you were at the right angle but you would have to be looking hard (or have an automated sky searcher). Black ship is going to get hot. There are 3 conventional ways to dump heat - conduction, convection and radiation. The first 2 don't work in space and that leaves the third. Two factors affect how much heat an object can radiate away: surface area and heat absorption. Your shape does not maximize surface area and you have maximized heat absorption with the Vantablack. There is a reason space stuff is always so shiny. You have the cold hydrogen but you are going to boil it fast. Maybe if you made this ship a ramifying curling wonder of tiny twists you could keep it black but increase surface area enough to compensate? I like the transparent ship better, but your enemies will see you in the shower. 487986612 kj required to boil / 7792 = 62626 seconds = 2087 minutes = 34 hours to boil the hydrogen. Not the answer you're looking for? Browse other questions tagged reality-check spaceships hard-science stealth or ask your own question. Would Vantablack hide planes from radar? Could a Neptune like Gas Giant support life? What measures (and appropriate countermeasures) would be used for sensing and target acquisition in far-future space warfare? Stealth in Space: How realistic is it? Can electronic warfare be used to bring space combat into visual range and protect fighters/bombers? Can we visually identify a fleet from Earth with modern technology? How long does a derelict spaceship last in orbit?